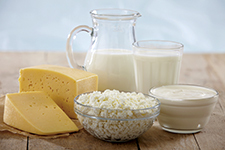 Bruker Optics’ dairy portfolio ranges from small footprint, touch screen accessible, dedicated analyzers to multiple channel analyzers for the full range of samples from raw milk to the various dairy products as well as fully automated in-process systems for closed loop control. 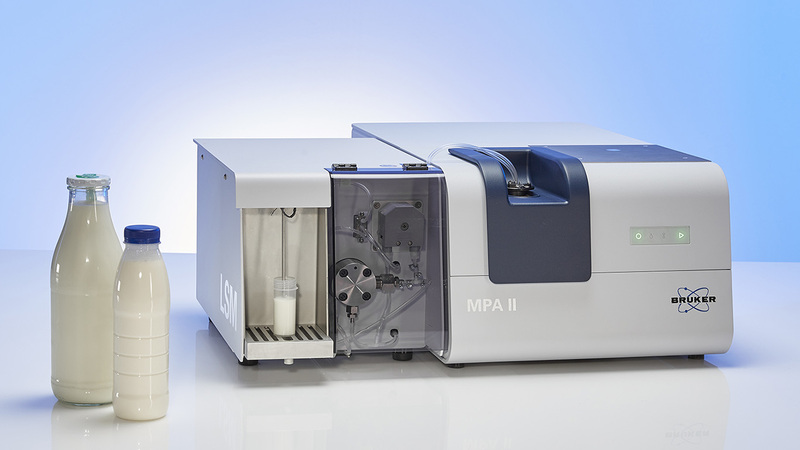 Bruker’s Dairy Analyzer MPA-D II with the software controlled Liquid Sampling Module (LSM) sets a new standard in routine QC for the analysis of liquid and solid samples. 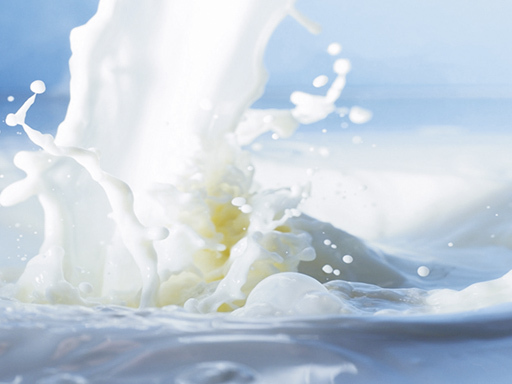 From raw milk to finished dairy products - test the full range along the production chain with just one easy-to-use FT-NIR analyzer. 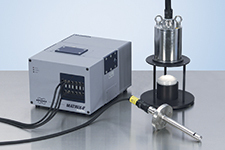 Transmission measurement through a thermostatted quartz flow cell with 1mm (1,000μm) path length for all liquids. The maintenance free design shows no cuvette wear over time. 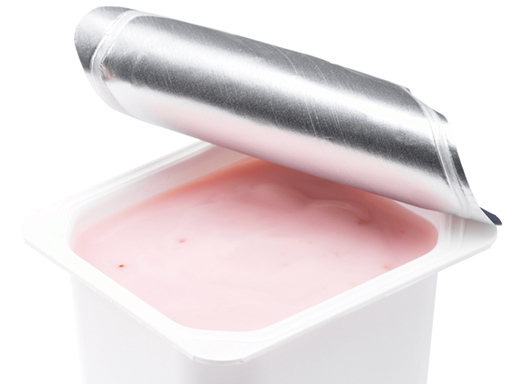 Viscous samples like concentrates can be pumped through easily, even if they contain small particles or sugar crystals. Reflection analysis for all solid and semi-solid sample forms with the integrating sphere in sample cups for powder samples and for semi-solids in disposable polystyrene or alternatively glass or quartz Petri dishes. The sample is rotated during analysis to obtain the average result from a larger sample volume. Learn more by downloading our application note. 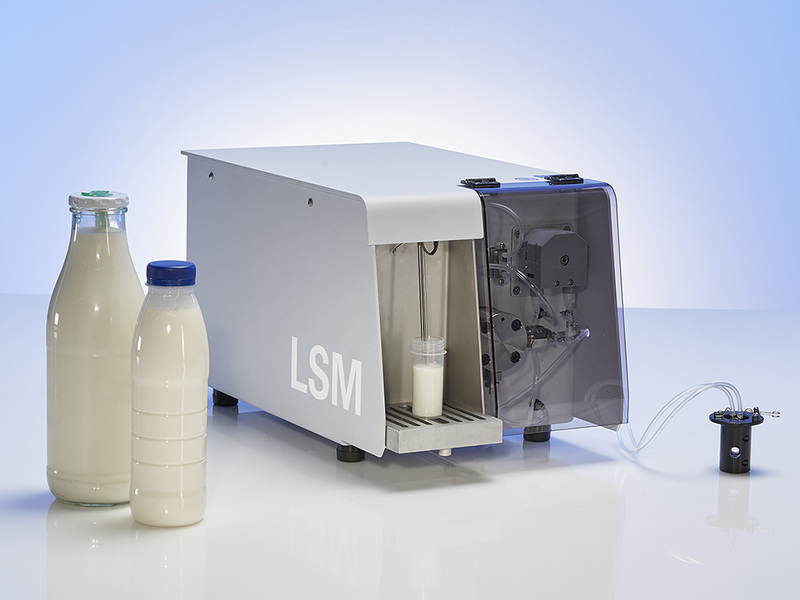 The homogenizer of the LSM secures excellent precision and repeatability of raw milk analysis and the flow cell is analyzing a 20x larger sample volume compared to FT-IR analyzers. 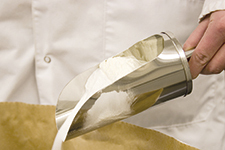 Results of tests with certified standard milk samples sets from the dairy laboratory services show excellent accuracy and linearity for fat and protein. Using the peristaltic pump only, even viscous milk products and intermediates such as cream, milk drinks and condensed milk can be analyzed. 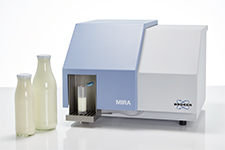 Alternatively, Bruker offers the pre-calibrated MIRA liquid milk analyzer, based on infrared spectroscopy – a stand-alone system for the quality control of raw milk, and liquid milk products. 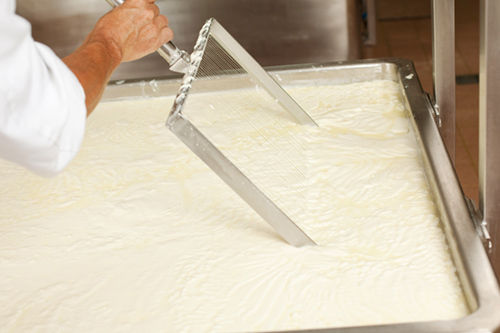 Using whey as a liquid side-product of the cheese making process adds value to cheese producers. 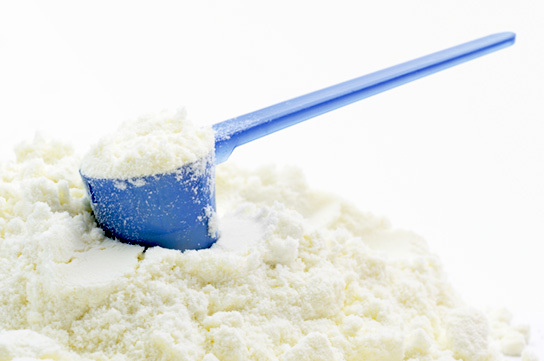 The production capacity for whey protein concentrates (WPC) to be used as an ingredient has increased significantly and thus the need to analyze liquid whey and whey proteins. 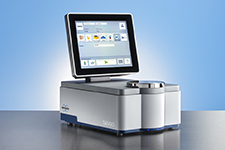 Samples from different phases of production are covering a broad range of concentrations for protein and total solids which can be analyzed with the LSM. More information is available in our application note. 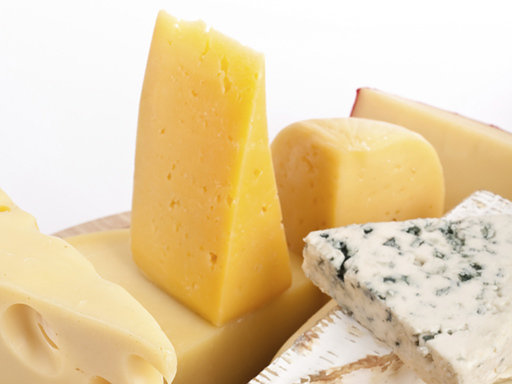 A simple reflectance measurement analyzes important quality parameters such as moisture in butter and fat, protein and total solids in a large variety of cheeses from hard-, slicing-, cream-, to soft and processed cheese. 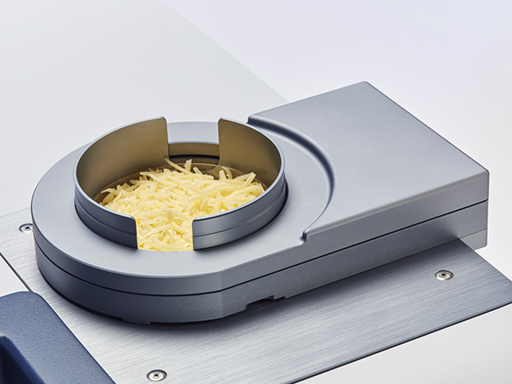 Grated cheese is typically sprinkled, whereas softer cheese varieties are spread into the disposable polystyrene Petri dish. 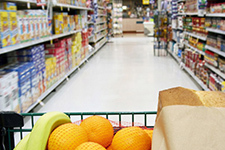 Many companies produce a wide range of recipes with many different flavors and textures, from plain yoghurt and desserts to fruit and chocolate flavored products. 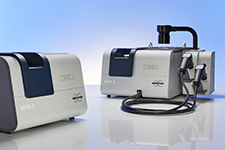 With NIR spectroscopy, the typical quality parameters such as fat, protein and dry matter can be determined very quickly in the lab or at-line in the production area. Only one calibration model per parameter is required, no matter what flavors or ingredients are being added.